Support the Family Cafe's #21for21 Birthday Campaign! When it comes to birthdays, your 21st is a big one! It’s a major landmark in the journey to adulthood, and a cause for celebration. In 2019, The Family Café will mark the occasion of The Annual Family Café’s 21st birthday. And we think that calls for something special! So this year, we’re asking you to help us celebrate our 21st birthday by pledging $21, either as a recurring or a one-time donation, to support The Family Café and the work we do on behalf of people with disabilities in Florida. If you could donate $21 any time between now and June, that would be great! And if you can give us $21 every month between September and June, that would be even better! At The 21st Annual Family Café, we will make an announcement to let everyone know which month had the highest level of donations. In the meantime, we invite you to follow along with our 21st birthday celebration on Instagram, Facebook, and Twitter! Thanks very much for your continued support of The Family Café, and your fellow Floridians with disabilities! 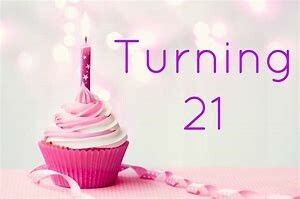 Would you please join us in celebrating our 21st birthday by contributing $21 as a one-time or recurring donation today? To learn more about The Family Cafe, and what we do to provide training, information and support to Floridians with disabilities and their families, visit the About Us section of our site.